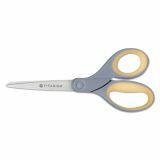 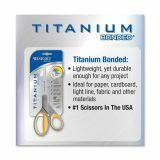 Westcott Titanium Bonded Scissors, 8" Straight - Scissors offer high performance titanium that provides three times the strength of stainless steel and resists corrosion. 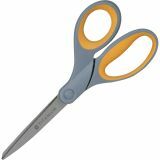 Blades resist the stickiness of tape and glue. 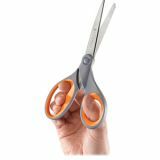 Cutting edge stays sharper longer and delivers precise cutting.